The Machine Learning team at Autodesk is spread across a number of areas in the manufacturing industry: robotics, simulation, industrial internet of things, and virtual reality – machine learning will impact all of these in unique and different ways. The goal of this role is to make sense of the wide spectrum of data we have and build machine learning algorithms that solve many of the challenges our customers face in designing and manufacturing their products. 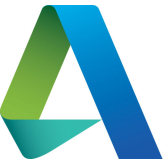 As a part this team, you will work in the Autodesk AI Lab applying machine learning to unique data sets such as: 3D geometric data; fluid dynamics simulations; time series sensor feedback data, and point-clouds. Our Lab utilizes cutting edge Machine Learning techniques to help our customers design, simulate and physically create the world around us. The Lab is located at our Pier 9 Workshop, where you’ll be surrounded by innovative makers and designers and see first-hand some of the challenges that need to be solved. In this role, you will pioneer the technology that will be the backbone of this next generation of design and manufacturing software. You will work closely with Autodesk Research and product engineering to develop and test machine learning models for new AI based products. You will engage with the problems our manufacturing customers face, identify areas that AI will be most impactful, and develop prototypes for these AI solutions. Familiarity with various statistical and machine learning techniques including: classification, regression, dimension reduction, regularization, clustering and various multivariate methods. Experience in some Deep Learning techniques such as: CNNs, RNNs, and various generative networks. Knowledge of some of the standard deep learning frameworks such as: TensorFlow, Theano, Caffe, TORCH, etc. Want to get notified about new jobs at Autodesk?